Life @ Underground Elephant" - New Video Series! “Life @ Underground Elephant” – A New Video Series! Have you ever wondered what life at Underground Elephant looks like? Well now you can get the inside scoop through Underground Elephant’s newest video series- “Life @ Underground Elephant!” In this series, UE employees will share finance, marketing, tech, and sales tips; reveal their favorite moments at UE; and even give a few laughs. You can also expect to see exclusive glimpses into Underground Elephant’s gorgeous office space. Like our office culture, the videos will be a combination of quality information and fun. Be sure to subscribe to not miss a beat. 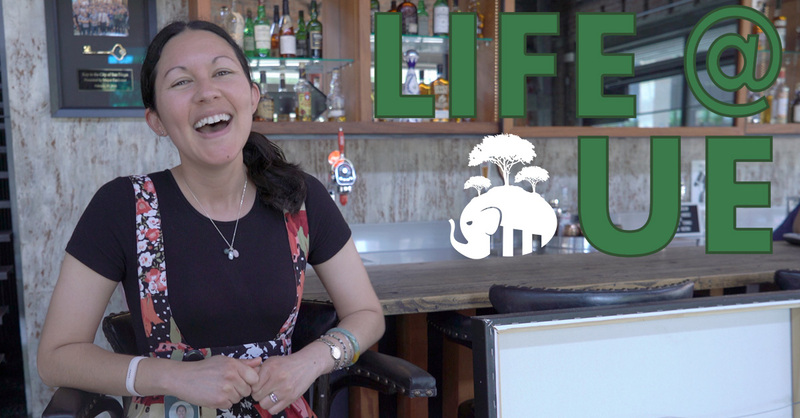 In the pilot episode of “Life @ UE” we interview 3 employees ranging in their time at Underground Elephant: recently hired Carter Howard and Dominic Erlbeck to our 6 year UE veteran, Sarah Kim! Follow UE on our other social media accounts for more inside looks!